Whether employers are just starting out, expanding into new states or evolving from a ‘mom and pop’ operation to a growing enterprise, HR management is a key factor of business success. 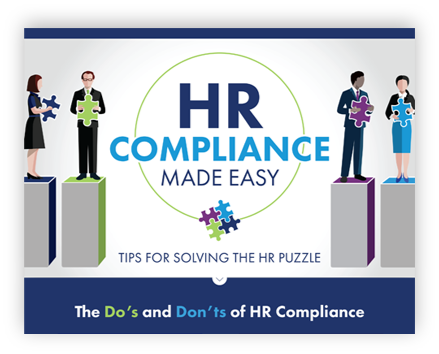 Because employers aren’t necessarily HR administration experts, they may not know, for example, that classifying or paying employees incorrectly can result in major penalties. 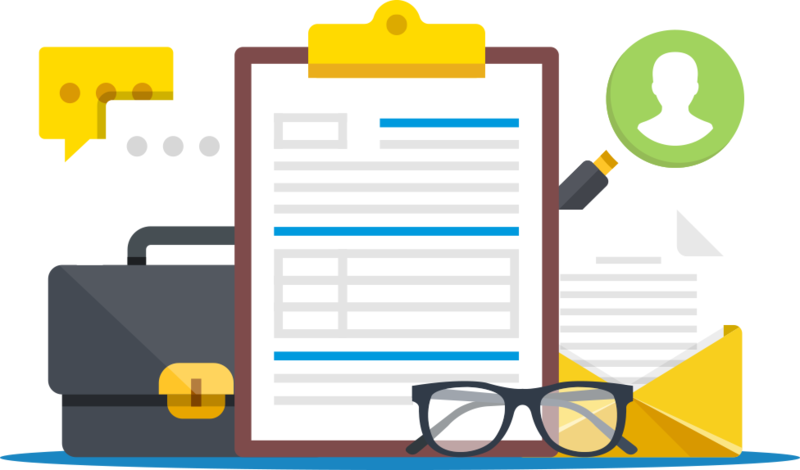 HR outsourcing services, like those offered by a Professional Employer Organization (PEO), can help employers survive and thrive by maintaining HR compliance. Outsourcing human resources not only saves business owners time and money, it gives them peace of mind and helps retain employees. Here are four ways outsourced HR keeps employers out of legal trouble. Many states have restrictions on the types of deductions employers can take from employees’ pay, as well as the terms under which the deductions can be made. Click here for the rules in your state. It could be tempting to classify workers as independent contractors to avoid paying taxes, insurance and overtime. However, federal regulations dictate what factors determine the appropriate classification of individuals and specifically address the types of wages employers must pay taxes on. Misclassifying workers can end up costing more in the end because of back taxes, the collection of unpaid wages and additional penalties for failing to deduct taxes. Independent contractors (or 1099 workers) are self-employed, which means employers do not withhold taxes from their pay. Contractors do not take direction from employers when performing services. They decide what to do and when and how to do it. Ask yourself, “Do I tell these employees when to report to work, when to take breaks or how to manage the job?” If so, they’re likely not independent contractors. 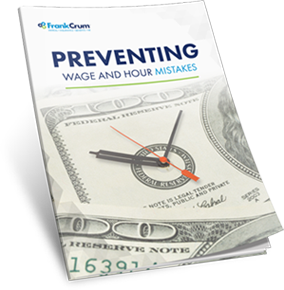 Exempt employees are “exempt” from regulations governing overtime pay and minimum wage but do have minimum salary requirements. Currently, the salary threshold is $455 per week as a ruling to boost this amount remains on hold. Exempt employees are typically entitled to receive their full weekly salary regardless of how many or how few hours they work. Employers must deduct the correct amounts of federal, state, and local payroll taxes, and then remit them and file the appropriate reports (940, 941 and W-2). Under the Affordable Care Act (ACA), employers with 50 or more full-time equivalent (FTE) employees are required to provide health coverage to full-time employees or pay a tax penalty. This is what’s known as the employer mandate. The ACA requires employers to offer affordable health insurance with minimum essential coverage to 95% of their full-time employees and their children up to age 26, or be subject to the employer mandate. Workers’ compensation insurance is available in all 50 states. Texas is the only state that doesn't require it, but many who own businesses there carry it anyway because of its benefits to both employers and employees. Workers’ compensation requirements vary by state but have the same general guidelines. When an accident happens on the job, employers must keep records of work-related injuries and illnesses. Employers must report all work-related fatalities within eight hours and in-patient hospitalization, amputation, or eye loss within 24 hours. OSHA encourages all employers to adopt an injury and illness prevention program to better educate and keep employees safe. 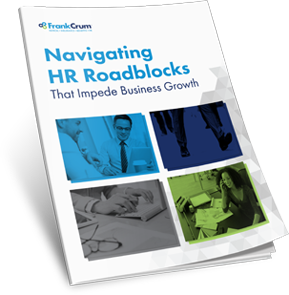 Are Your HR Headaches Putting You At Risk? During an interview or any other conversation with an employee, avoid leading questions in areas where discrimination can potentially occur. For example, do ask about skills, organization and integrity. Don’t ask about his or her birthplace, religion or marital status. The employment application, which contains the candidate’s personal information. The I-9, which verifies employment eligibility by checking documents that prove employees are legally eligible to work in the United States. The W-4, which contains the employee’s tax withholding information. As a standard, employers have to report new hire information (and/or rehires) to the state within 20 days (sooner in some states) or face penalties. When an employee asks for medical, family, pregnancy-related or military leave, be sure to respond in a way that adheres to leave laws. It’s important to consider the intent of the laws to accommodate an employee’s needs and to explain the laws and your company policies. Let the employee know whether the leave will be paid or unpaid. The federal Family Medical Leave Act (FMLA) provides up to 12 weeks of unpaid leave during a 12 month period. Employees can utilize the FMLA to care for a newborn, adopted or foster child, family member or their own serious health condition. The law applies to private employers with 50 or more employees. The FMLA also allows states to set standards that are more expansive than the federal law and many states have chosen to do so. Some offer paid family and medical leave and others require paid sick leave. A small number of states even provide a limited number of paid hours annually for parents to attend school-related events and activities for their children. Sometimes, time away from work is a reasonable accommodation under the Americans with Disabilities Act (ADA). The ADA is a civil rights law that prohibits discrimination against individuals with disabilities in all areas of public life including jobs, schools, transportation and all public and private places open to the general public. 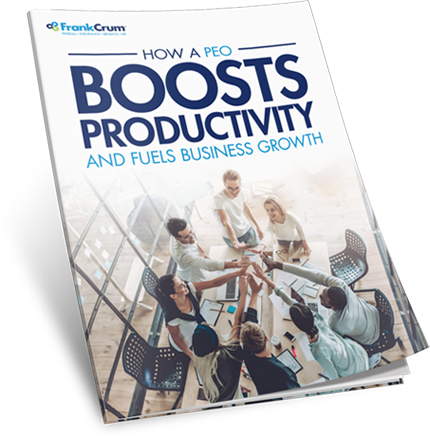 When you partner with a PEO like FrankCrum, you gain access to a team of HR professionals in the areas of taxes, employment law, payroll, benefits and insurance.